Fretwork on the Jali designer is 6mm thick. The fretwork panels surrounding this bar were designed in jumbo size (15mm thick) and the pattern is scaled up accordingly. A wide border was added to the panels for a framed look. 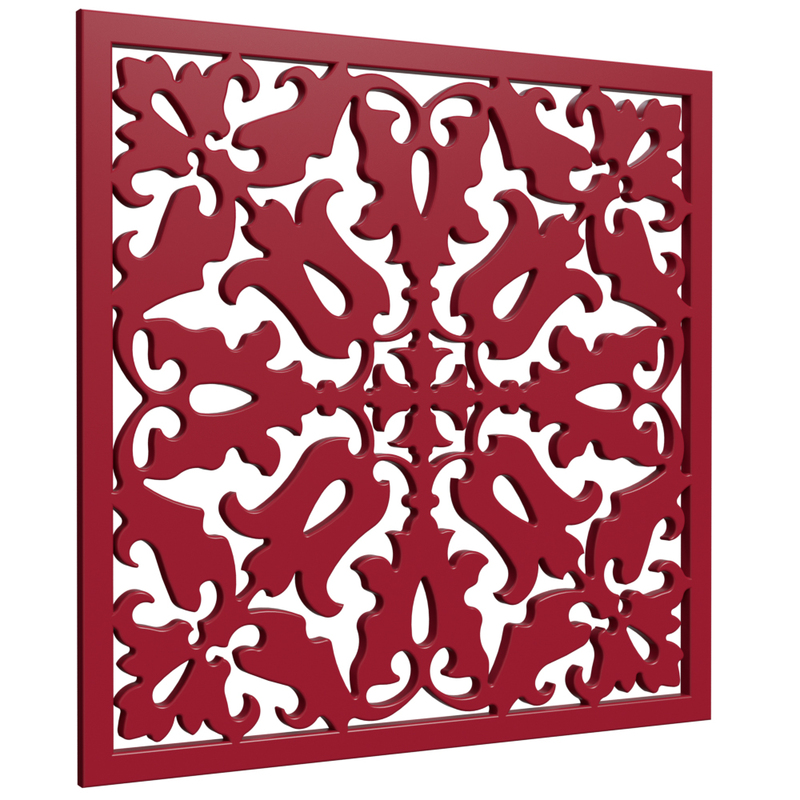 Jali fretwork 2172 was chosen because it looks like tulips. Credit: The Tulip Restaurant in Canterbury. Of course!